Presumably, the more you draw, the better you get (10,000 hours and all that) and that doesn’t only mean your “drawing from observation” skills get better. This also includes the drawing you do from imagination, because you’ve observed something so frequently that your visual memory improves too. Or so I hope. For example, on first try I messed up the face of the girl with the hat. After erasing it, I was able to draw it again, but without looking at her. For me, that is a small step, a tiny bit of progress, in my determined mission to get better at drawing people. 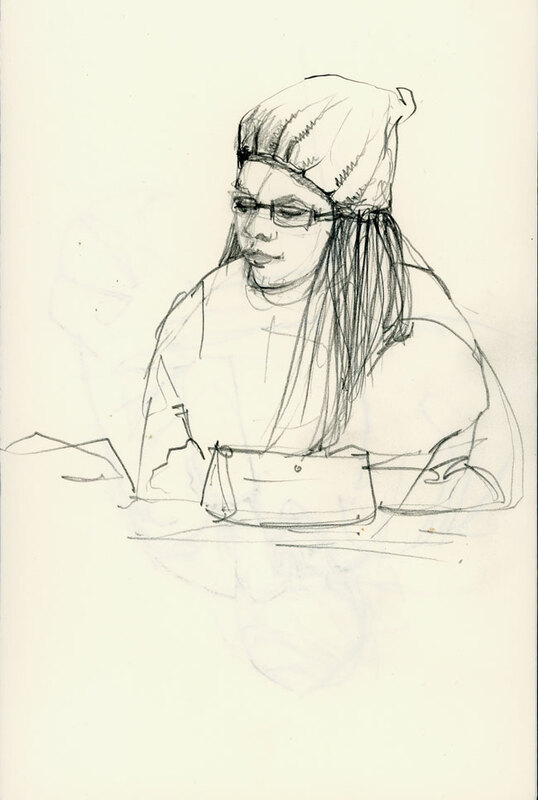 I spent three years sketching people in the train, yet drawing people from my head is still a challenge, but then again, challenges don’t have time limits; you just keep at it until the challenge gets smaller and smaller in the distance behind you. 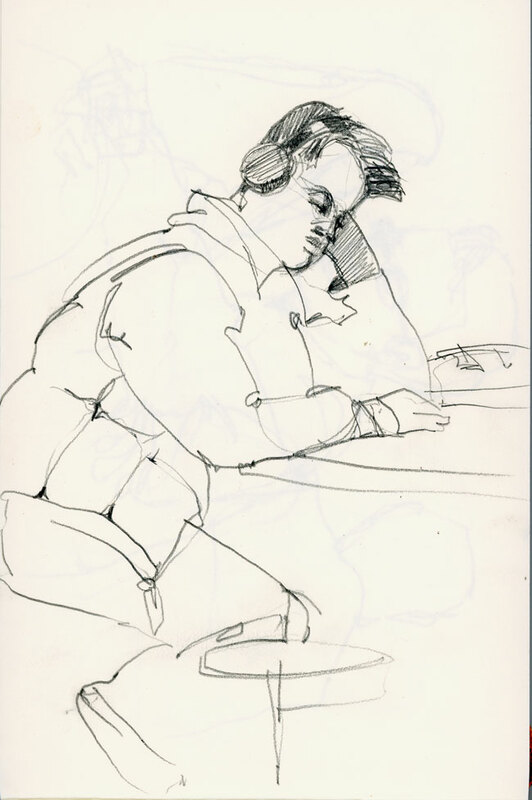 Is the drawing of the man a contour drawing? Just curious.